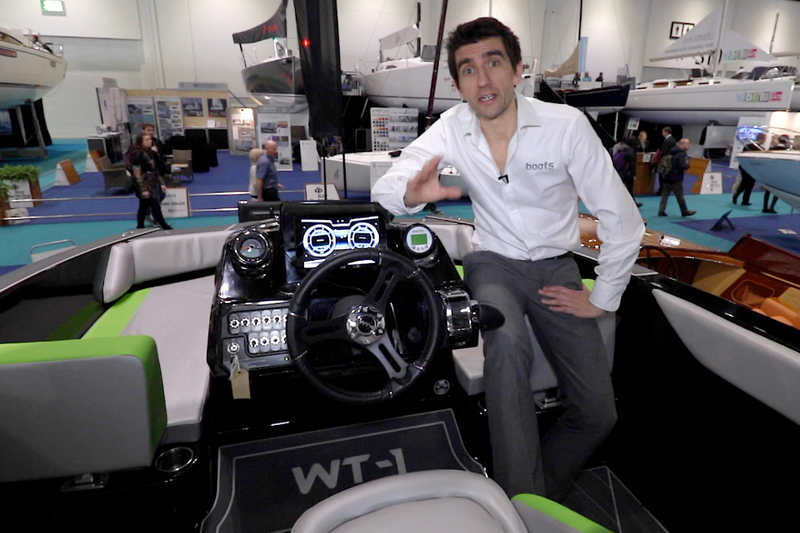 Alex Smith examines the first in a radical new line of tow boats known as the ‘Wake Tractor’. Right from the outset, the creators of the Wake Tractor were very clear about what it needed to achieve. It was to be a wake boat that would offer market-leading affordability by eradicating all the unnecessary trinkets that had become so fashionable in the watersports sector. It would also subvert the modern convention for large, cumbersome watersports platforms, with an overall length of less than 20 feet. And yet despite its limited dimensions and accessible pricing, it would offer a freshness of style and a calibre of performance that would excite even the most ambitious and capable boarder. Now of course, these are admirable intentions, and if you heard them from a non-specialist team you would question their validity - but under the stewardship of father and son duo, John and Ben Dorton, the Wake Tractor project is in very capable hands. While John acted as CEO of industry leaders, MasterCraft, for more than a decade, Ben (a professional wakeboarder in his own right) has been closely involved in ensuring that the conceptual enterprise of the new boat is informed at every step with input from the field. Step on board and in place of the regular bow rider configuration, with a long, dominant cockpit and a poky little space ahead of the screen, the WT-1 uses a central helm, orbited (walkaround style) by convertible lounge seating on all sides. Both forward and aft, the long lateral seats feature backrests that can be relocated to generate aft-facing wake-spotting positions or forward-facing loungers. 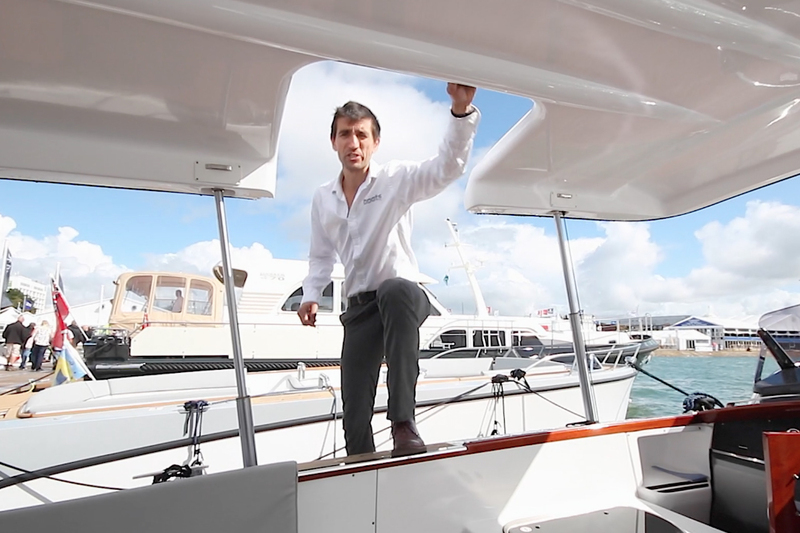 In the middle of the boat, the engine bay leads onto a useful section of deck space and then to the helm station, whose console extends all the way forward to the bow step, which is lined with the same matt-grey, non-slip, teak-style ‘Sea Dek’ flooring as the rest of the boat. 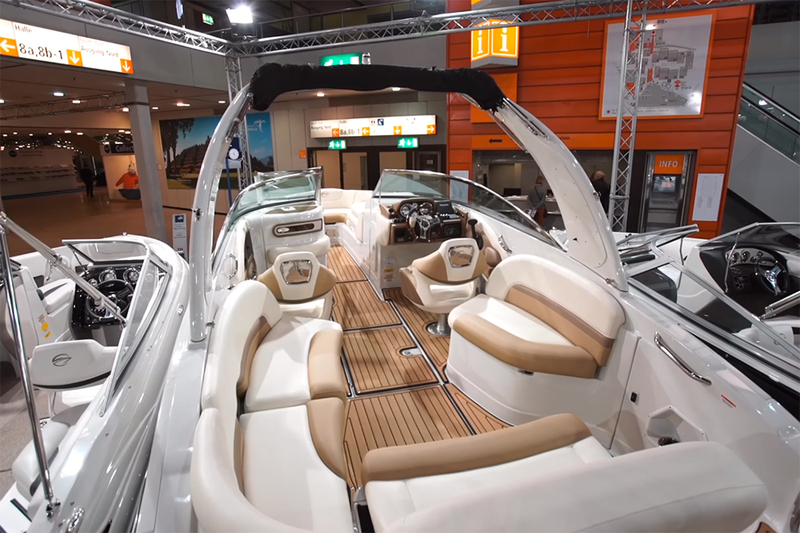 Out of necessity, therefore, the beam runs virtually un-tapered all the way to the bow to help maximise internal space for those forward loungers without compromising on the generosity of wakeboard storage space inside the front of that console. The Wake Tractor WT-1 is the first in a new line of affordable wake boats. However, the practicalities on show here go much further than just a set of configurable seating units. When the WT-1 clocks off from tow boat duties, its broad, angular bow and plunging hull sides, enable this nine-man craft to function as a compact but remarkably effective family deck boat. 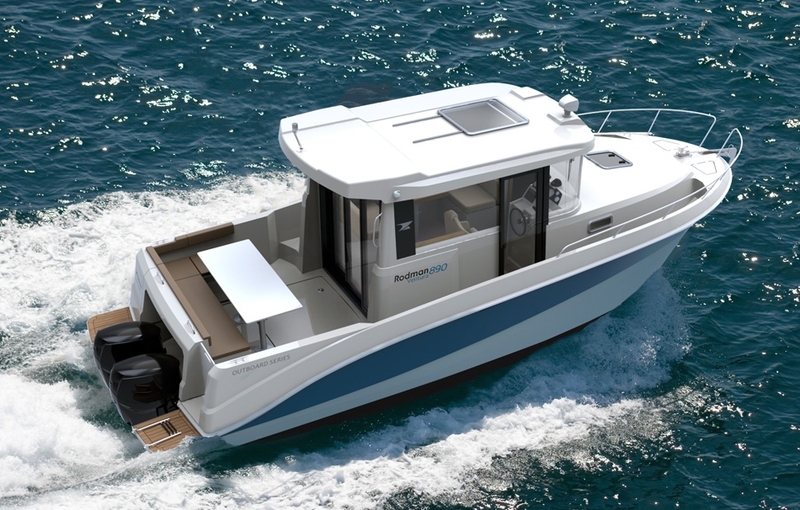 And at under 20-feet in length, not only is it likely to benefit from sharper handling and more palatable running costs than a regular specialist tow boat, but it should also be child’s play to store, trailer, launch, recover and dock. 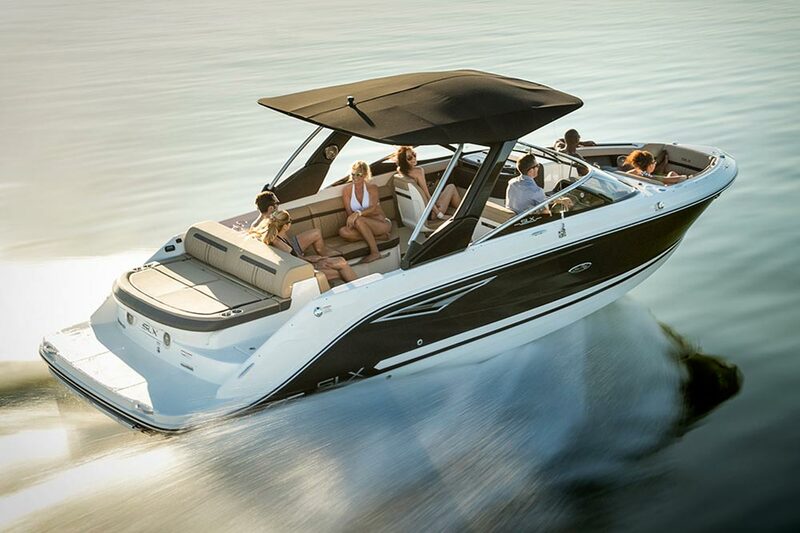 It might be conceived as an affordable, frill-free wake boat package, but the Wake Tractor still needs to offer the vital basics, so it’s good to see a standard package that includes the folding wakeboard tower, the Speed Control function, the ballast system and the convertible seating. And it’s also amusing to see a few feel-good accessories make their way into the base package, like the LED courtesy lights, Sea Dek flooring and 32-inch Sound Bar. These might seem like luxuries to most of us, but in the youthful, indulgent, party-centric watersports world, the absence of items like these is virtually unthinkable. 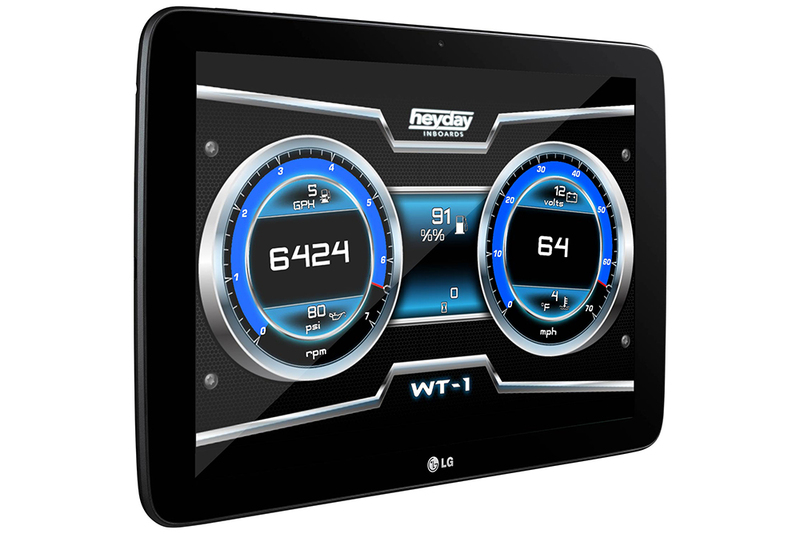 The dashboard is designed to hold a 10-inch android table computer to display console instruments as well as music and video streams. 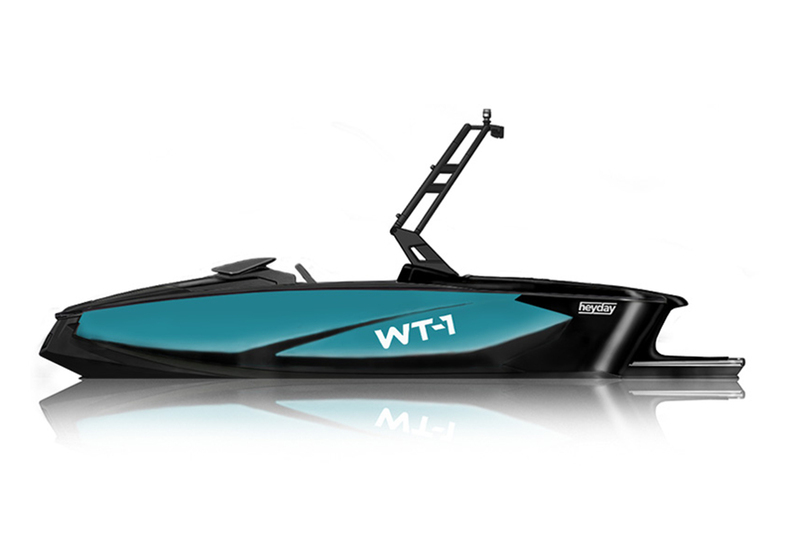 As for the hull, the WT-1 was designed to be “a small boat that throws a big wake” and to that end, it uses an angled transom to promote a natural curl, creating a huge lump that can be transferred from side to side for wake surfing or to generate a bulbous wakeboarding ramp at speed. 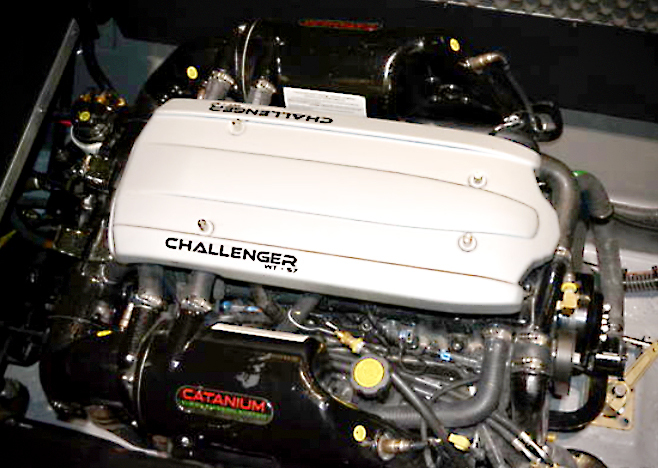 It’s also designed to achieve this without the technical complication of costly surf tabs and to aid with that, the twin ballast tanks are able to add more than half a metric tonne to the back end, increasing the boat’s displacement by more than a third – and they come not in the form of cumbersome removable sacks but in the form of properly integrated tanks. In addition to the usual speed control for consistent pull, there’s also a very useful nod to the trend for systems integration with a simple helm-mounted tablet facility. The use of a ten-inch Android tablet in the purpose-built dash mount enables you to display any relevant navigation and engine data, as well as manage your soundtrack via the Bluetooth-equipped, tower-mounted sound bar. And if you want to record your wake surf heroics, it even enables you to control an on board action camera and display the footage on screen. The 5.7-litre 350hp engine has plenty of grunt for mixed sports. Even so, if you leave aside the distinctive aesthetics, the unusual layout and the well-conceived features list, it’s the price that comes as the most welcome surprise. 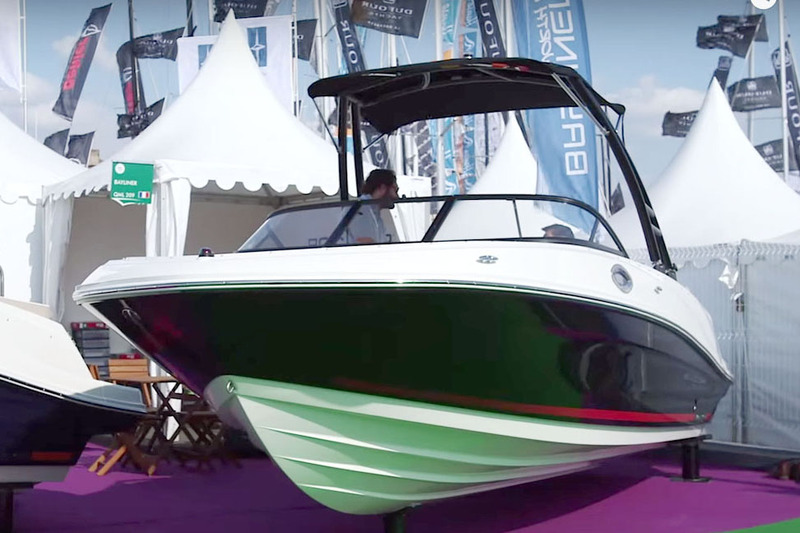 The exhibition boat at the London Boat Show, fully loaded with extras comes in with a list price of £48,200 - and if you manage to get in fast enough to buy that ‘ex-demo’ show craft, it dips even further beneath the magic £50,000 mark at £42,995. But if you want to experience the WT-1 in its purest form, the standard package starts at just £41,000. Even by regular boat standards that’s competitive, but as an authentic watersports craft with serviceable credentials as a family plaything, it’s virtually unprecedented. When you think about it, there’s no good reason for a tow boat to cost £100,000. After all, shaping a wake is not some dark and obscure feat of modern wizardry. It’s simply about displacing the right volume of water in the right way. Given the expertise of the father and son team behind the WT-1, there’s no reason to suspect that it is anything other than first-rate in this regard - so the fact that it can be yours for less than £50,000 is a very happy truth. 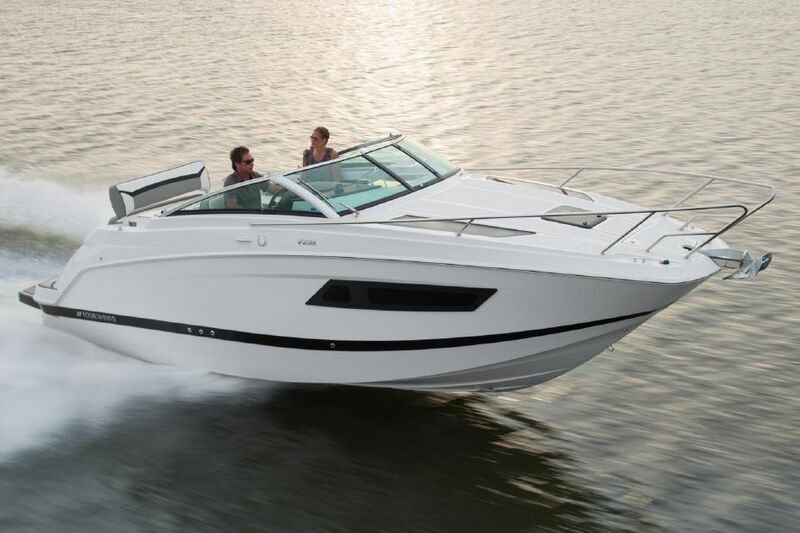 Okay, so its striking ‘back-to-front’ aesthetics are as likely to be deemed odd as distinctive - but if you want an approachable price and family fun on a towboat that even ambitious boarders can enjoy, there’s not much to touch it. For more tow-sports boat reviews, see: Four Winns TS222 video: first look or Scarab 215 jet boat reeview: hot new flagship model.